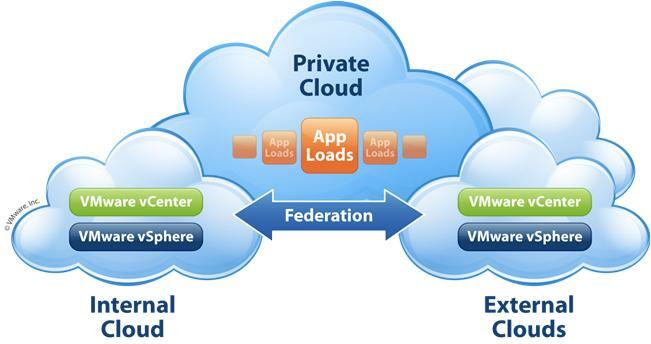 This site is dedicated to VMware Virtualisation and Private, Public and Hybrid Cloud, with a focus on Business Critical Applications (Tier One Apps). The name originates from the name given to New Zealand by the indigenous Māori people i.e. “Aotearoa”. Aotearoa translates to: ao = cloud, tea = white and roa = long or “Land of the Long White Cloud”. So the name Long White Virtual Clouds is particularly fitting given that VMware is one of the leaders in the Cloud Computing industry and the author lives in New Zealand. New Zealand and Australia have arguably the highest virtualization rates in the world and we have been virtualizing Business Critical Applications and executing Unix to x86 virtualization projects for a number of years on a large scale. One of the aims of this site is to demystify the migration and virtualization of traditional Unix systems and business critical applications. The author will provide real world experience on the technical and process aspects of critical applications and large scale virtualization projects. Topics covered will include design, quality assurance, performance optimisation, troubleshooting and implementation and migration planning, and any other relevant topics thrown in for good measure. I am VM beginner. It will be great if you load the Visio diagram to create a home lab. Also it will be great if you can give the list of hardware. Hi Aka, that specs for my lab can be found in My Lab Environment. Take a look. I haven't done visio diagrams for it. Hi, I’m wondering if you have had Solaris working on Nutanix? I’m working through that now. Yes. Solaris x86 works fine. But most convert Linux. Great website, a lot of great information. RDM virtual, RDM physical or VMDK files? Any thought as to which is the best practice. It appears from internet research that they are all the same from a performance point of view. Hi Dave, they are all the same from a performance point of view. VMDK is more simple and is therefore my recommendation. May I ask, if we setup a dedicated cluster ; consist of primary and secondary clusters under one vCenter and we buy 300 nameuser fortwo ESX ( for the active running vm or oracle db). So based on VMware vSphere 5.5 verison – is it ok for me to only license 2 ESX or I need to purchase name users for 5 ESX? Then I read this drs affinity rule then i see the 10 day rule… what is the right thing to do to ensure no legal issue? You should read your specific Oracle contract as it will tell you what you need to do. In many Named User scenarios you may need to have 25 named users per processor license equivalent, i.e. 25 named users per 2 x86 cores. So on a 20 core host you would need 250 named users to be licensed. On a 16 core host you would need 100 named user licenses. Let's assume for a minute you have 16 cores per host on x86, based on the core factor of 0.5, with 300 named users you could run the application and database on 3 servers. But you need to ensure that the application and database only ever run on the three servers that are licensed, unless the 10 day rule is applied. Using affinity rules is hard to do with ESXi and it's easy to make mistakes, which could be very costly. So a dedicated cluster where the Oracle software is isolated and runs is the best way to go. But this is all based on your contract, and you need to understand what it says and what the restrictions are. Different products can be handled differently. It is recommended that you seek your own independent legal and contract advice if you are unsure. Try and keep things a simple as possible, and as isolated as possible, so that you don't get surprised during the Oracle audit that will happen at some time.